Are you sick of the constant dreary weather that we have been experiencing in The Creek this week? The average rainfall for September is 4.65 inches. Back in 1999, there was a total of 17.61 inches of rain in September. Even though it has been wet and unpleasant outside the past few days, we should certainly be grateful that we have not had as much rain as the record setting amount in 1999. For those of you who have lived on the east coast of North Carolina since around 1999, you may know the reason for so much rainfall in this particular month. 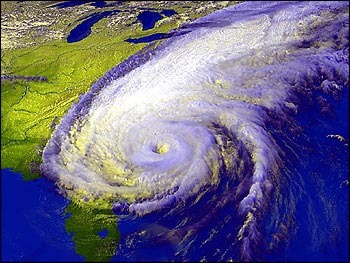 It was because of Hurricane Floyd. As someone who was in a house that flooded, this hurricane left a mark on my family. However, God was looking out for my family and he sent a boat right up to the house so that we were able to escape. Even though the majority of us have hated the rain this week, we should instead be grateful that there haven’t been many hurricanes and tropical storms over the past couple years. Of course, as students, some of us want a big storm to come through so that we can have classes cancelled, but we can just pray for snow this winter. The Cape Fear River hit a hight of 14.46 feet in Lillington during the hurricane.